Watch carefully the start up screen for the DEFAULT unlock pattern! 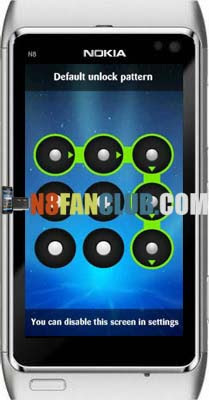 MazeLock offers an innovative way to unlock your touch screen phone. You need first to set your own unlock pattern by connecting some of the nine white dots together (There is a default unlock pattern pre setted). When you try to unlock your phone, you need to draw the same pattern exactly as you set. You can also protect your side bar slider key — double click the menu key to lock the phone.